The exterior design of your home looks very nice! 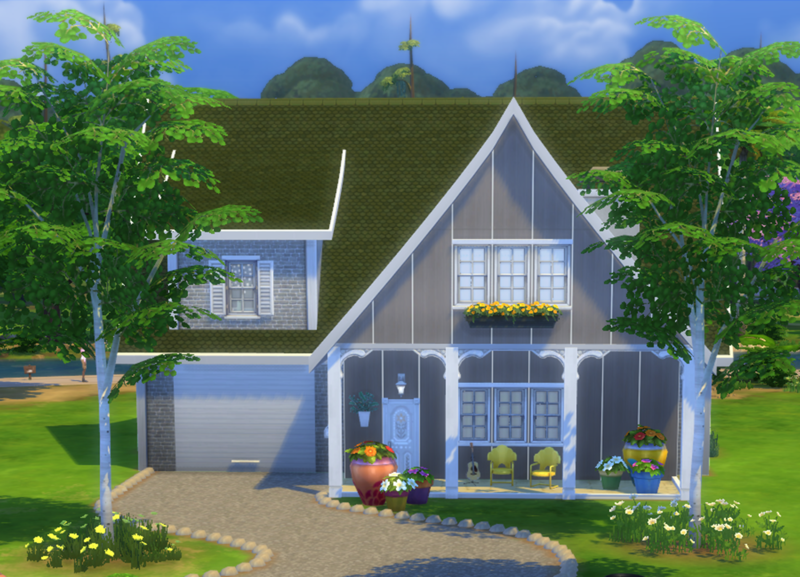 @marigold91 The slanted roofing looks great! 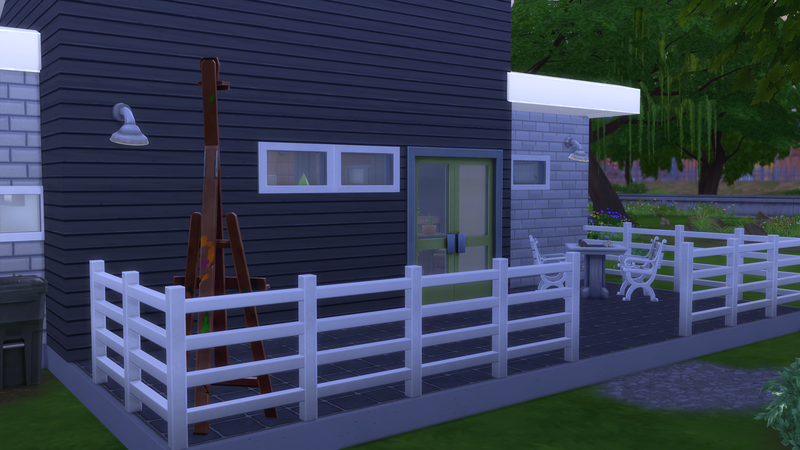 The garage door is nice touch in the build. Sims will have fun playing basketball. The different colours and texture of the exterior walls looks great! Very nice layout and furnishing of the interior of the home! The open plan layout of the kitchen, dining and living room areas looks very nice. The knives, hanging pans, utensils and jar are homely touches in the kitchen. 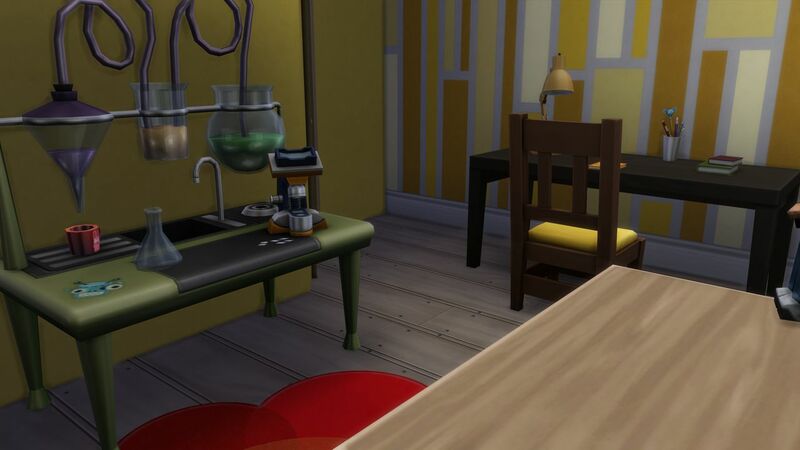 The different coloured dining seats looks great! 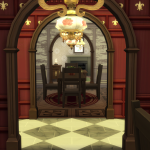 The pictures on the dining area wall are nice for sims to see when eating a meal. The fruit bowl looks nice placed on the dining table. Very nice sofa and stools sitting area in the living room. 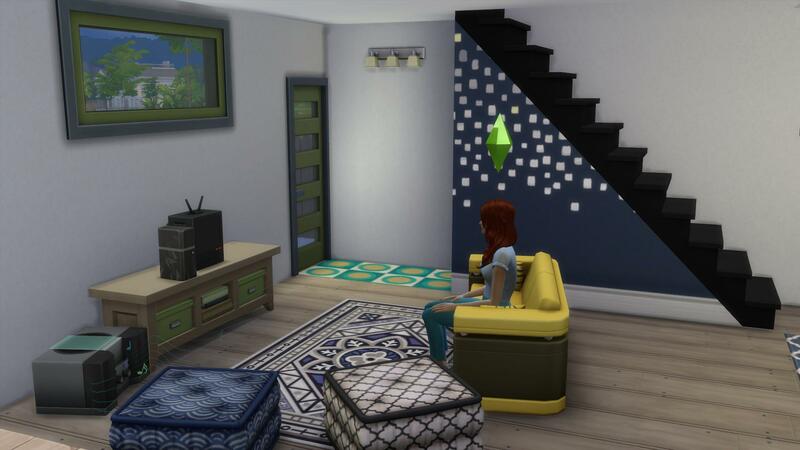 Sims will enjoy sitting resting there watching tv, reading a book or playing video games. They will enjoy listening to music from the music player also. Very nice outdoors dining backyard area! 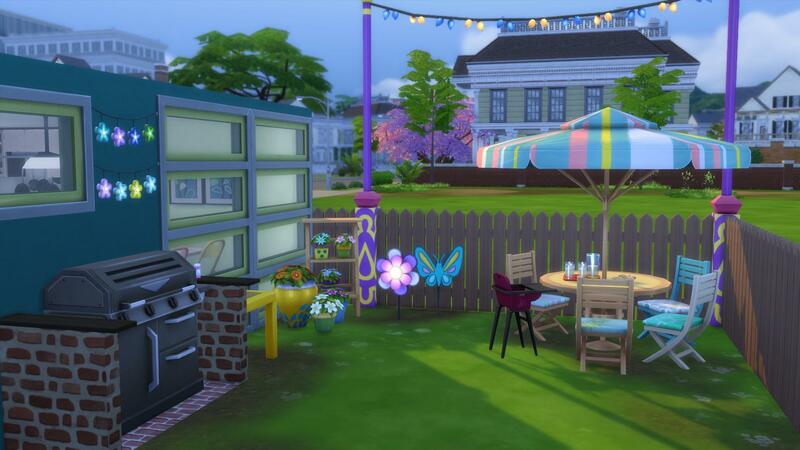 Sims will enjoy cooking meals on the BBQ and eating the food at the umbrella covered table, enjoying dining in the outdoors air. The flowers, string lights, butterfly and spinning flower look so very pretty there! Onyx is my entry for #BnS65 The Hawthorne Project Part 3. 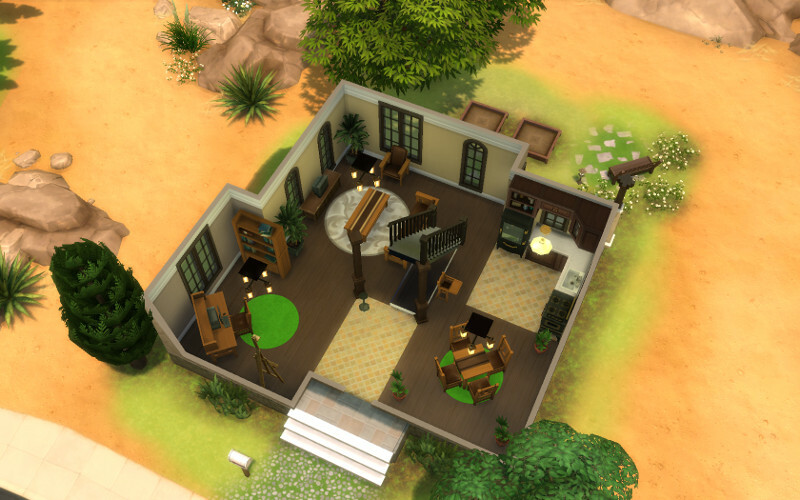 It is a 3BR 2BA home, it is fully base game compatable and at only $37,808 incredibly affordable. It features two children’s rooms and a master suite. Has an office gym, flower garden and a veggie garden. All appliances have been fully upgraded, including the TV, computer and stereo. More images are available in the spoiler below. The Master Suite, quite basic, but David wanted more of the money to be spent on his children's rooms. The download link can be found here. The exterior design and layout of Onyx looks very nice! 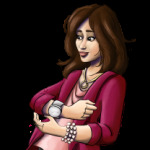 @FaithofKaela It is great that it is base game only! 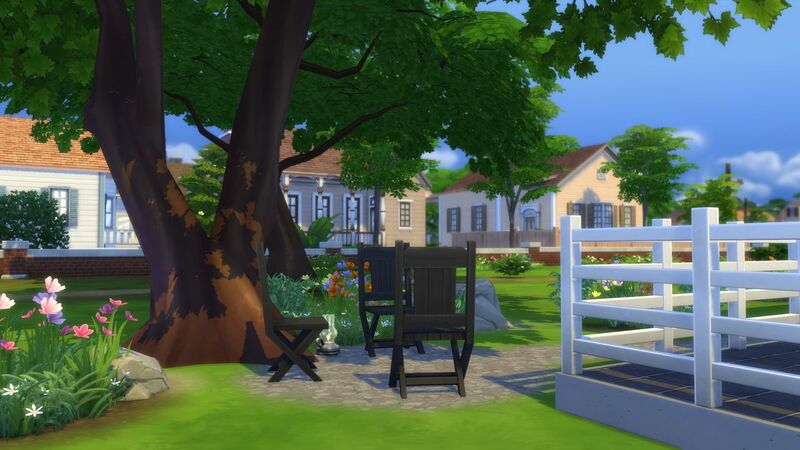 Very nice interior furnishing, and the backyard is a nice place for sims to enjoy spending outdoors, on the patio or sittiing resting under the tree. I have posted about your home on your showcase thread. Wow, @FaithofKaela , Onyx is amazing! I love the use of the pillars in the kitchen to help separate it from the dining area. Nicely done! 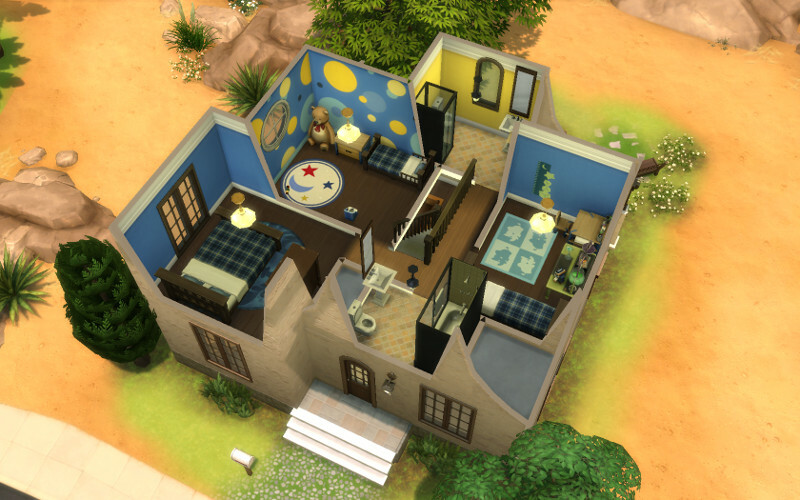 Three bedrooms (master, child's, and nursery) and two bathrooms. 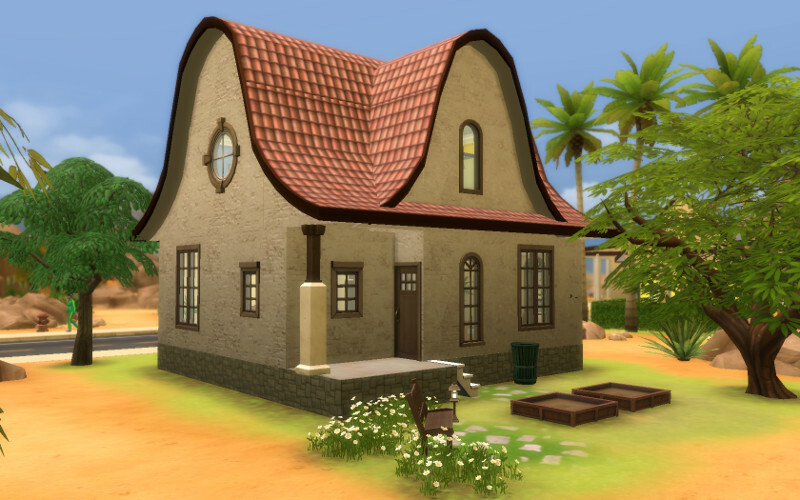 The exterior design of Camelback Cottage looks very nice! @Xinqun The curved roofing looks so very great ! The exterior wall texture is nice. Nice gardening and sitting nook area in the back yard. 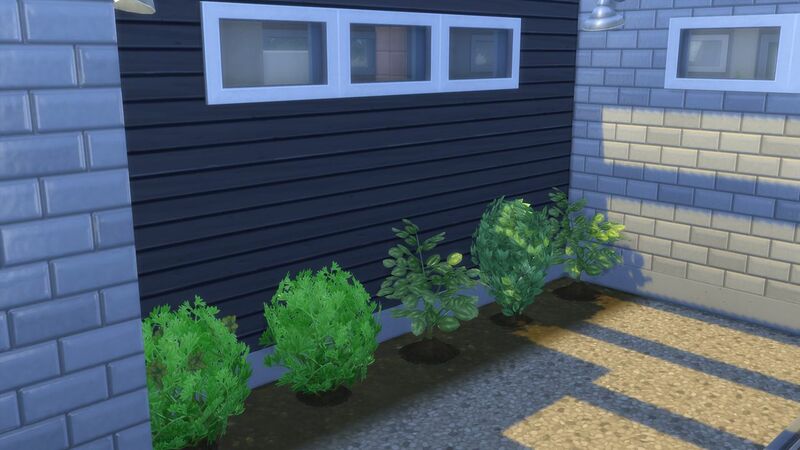 Sims will enjoy growing plants in the gardening boxes, and enjoy sitting outdoors in the sunshine. The flowers are a pretty touch around the seat bench. Very nice layout and furnishing of the interior of the home! 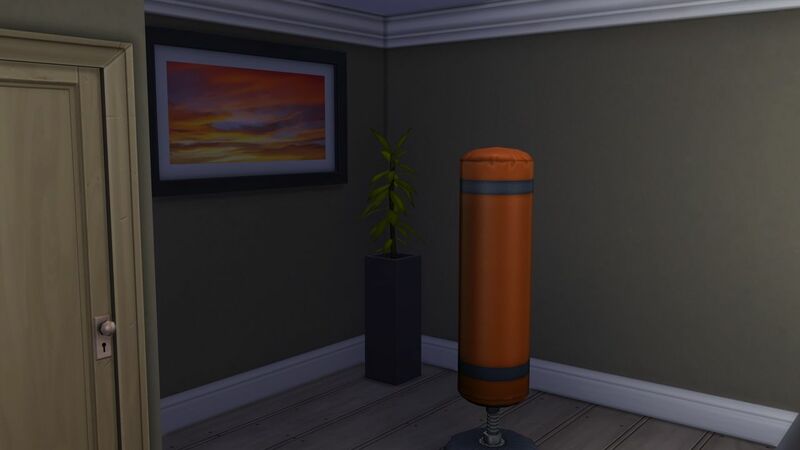 The brown colour scheme of the first level looks very nice and the green of the floor rugs adds a nice touch of a different colour to the rooms. Very nice blue and yellow colour scheme of the bedrooms and bathroom. 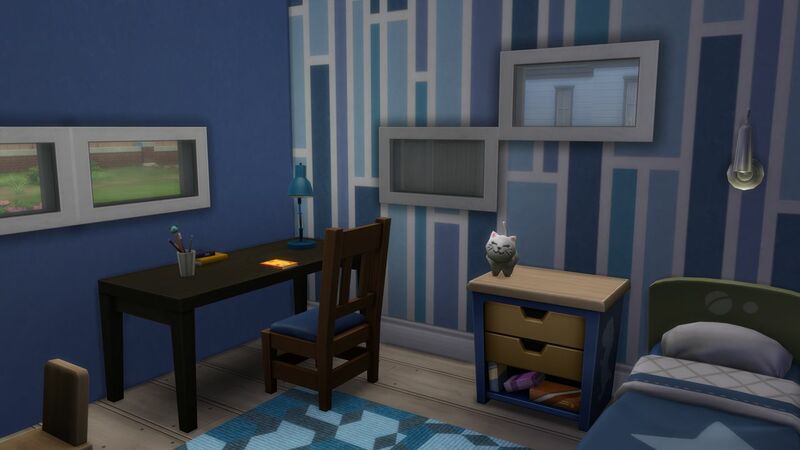 The teddy looks cute in the corner nook in the kids bedroom! 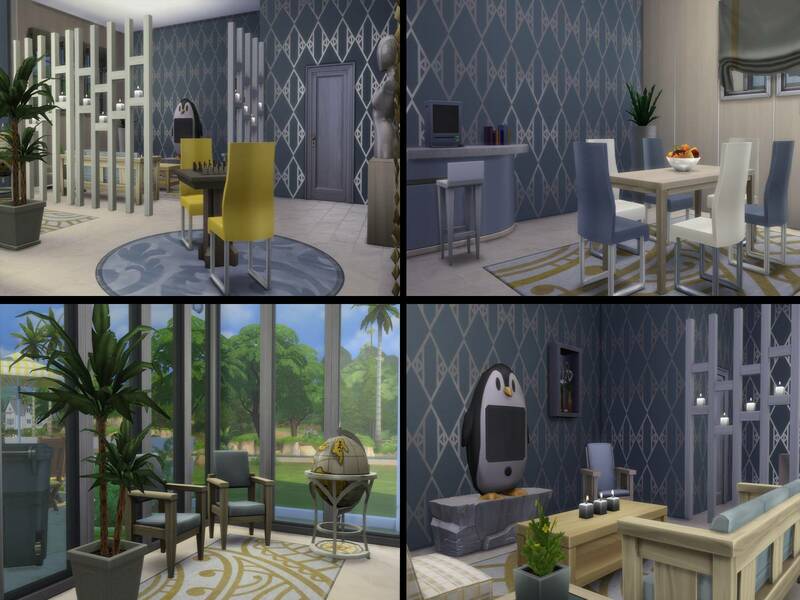 The circles wall pattern in the room looks very nice! Very nice kitchen nook! It looks great how the kitchen cabinets have been placed there. The fridge nook looks great! 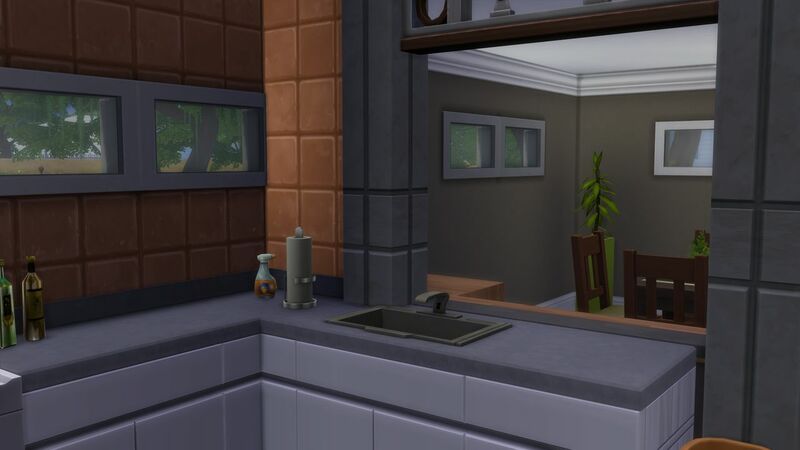 Sims willl enjoy looking out through the kitchen windows whilst preparing meals. 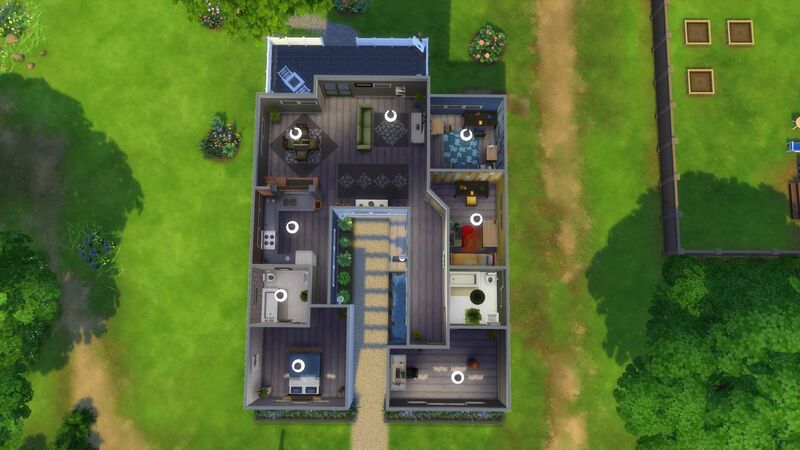 It is a very nice home for a a family of sims! Solidarity is a very nice home! 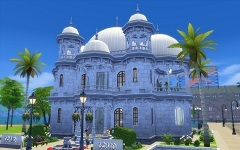 @masajo Very nice design of the exterior! The khaki and brown colour scheme of the exterior to reflect the army is nice , and the touches of yellow used both in the outdoors areas and indoors are special sunny touches! 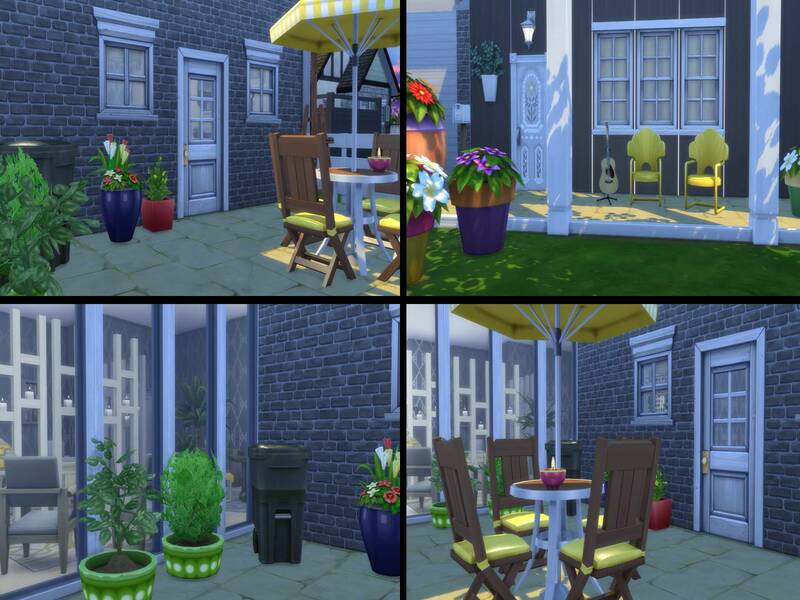 Sims will enjoy sitting outdoors in the air on the seats on the front porch or at the yellow umbrella covered table in the bsck patio nook, enjoying being outdoors in the air, I have posted about your home on your showcase thread. @Xinqun your house looks great! 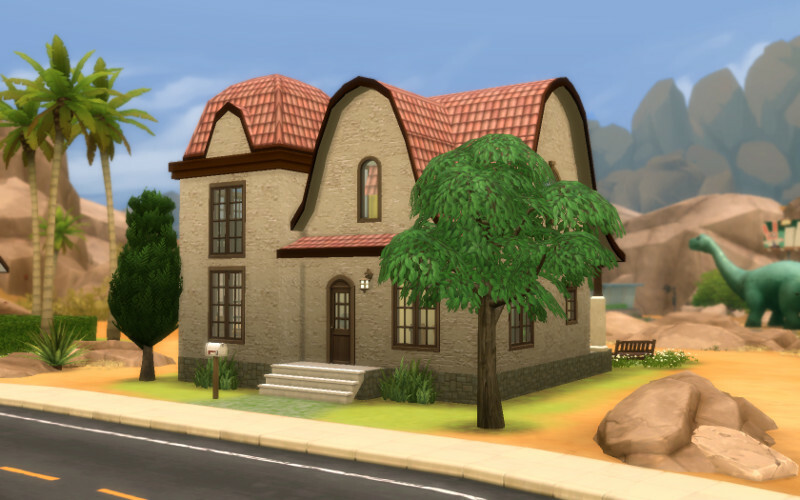 I looove the curved roofs! 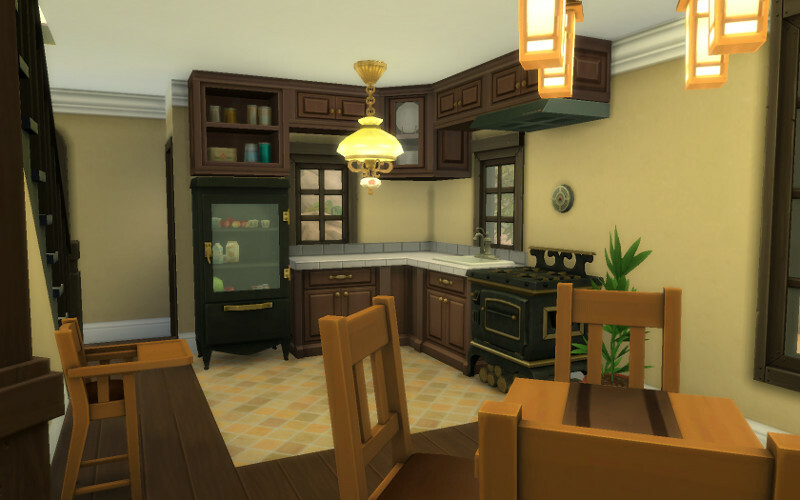 I'm never able to make my less than traditional roofs look good, and the kitchen looks so cute! 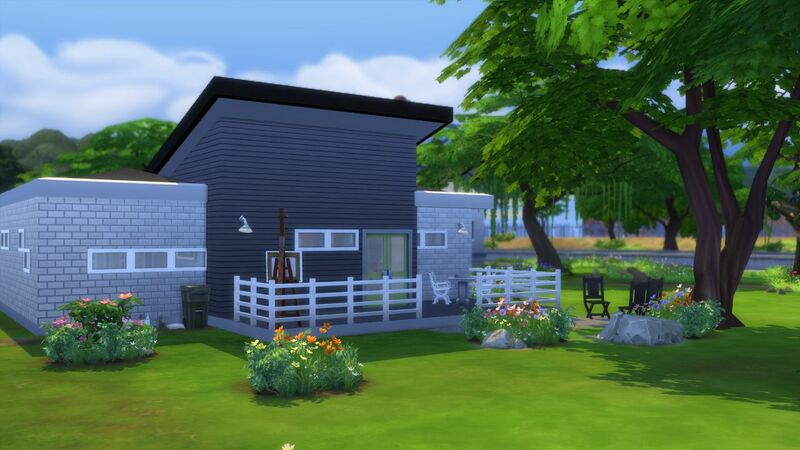 You've done a fantastic job creating a cozy house for a family, and all for under 40k! @masajo I love your addition. 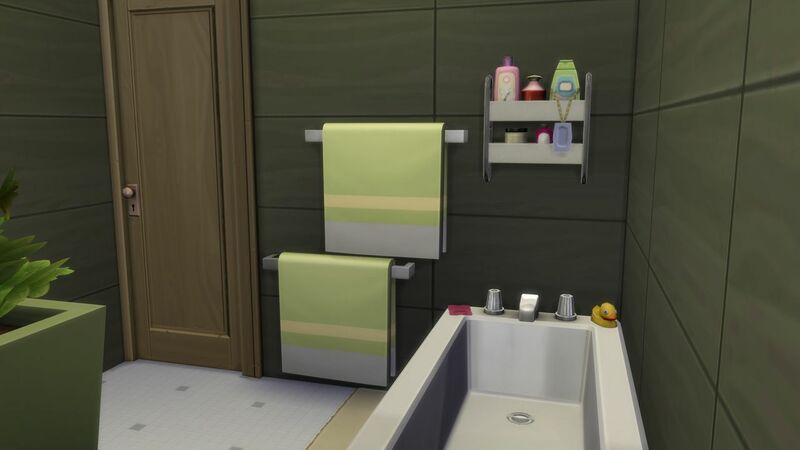 Is that diamond pattern wall paper from vintage glamour? I never realized how cool those look! I'll definitely have to get that pack now. 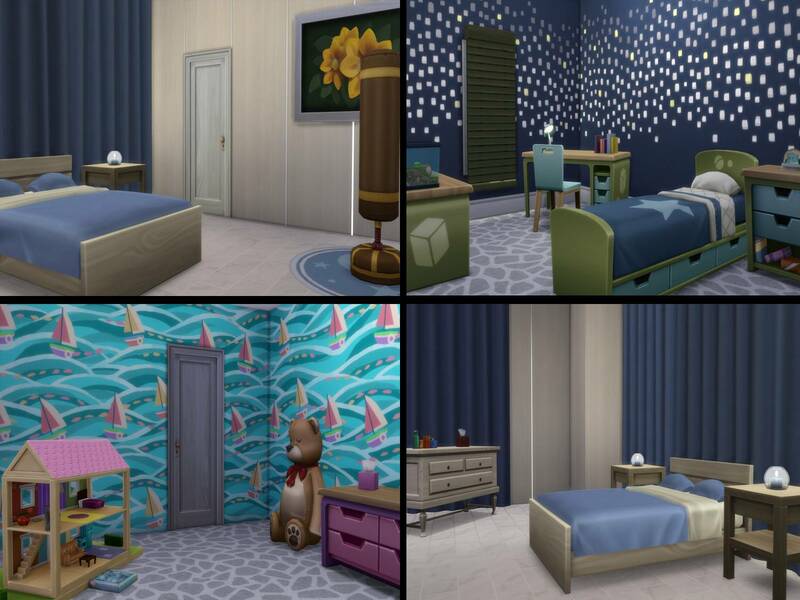 And I love the sailboat walls in the kids room. 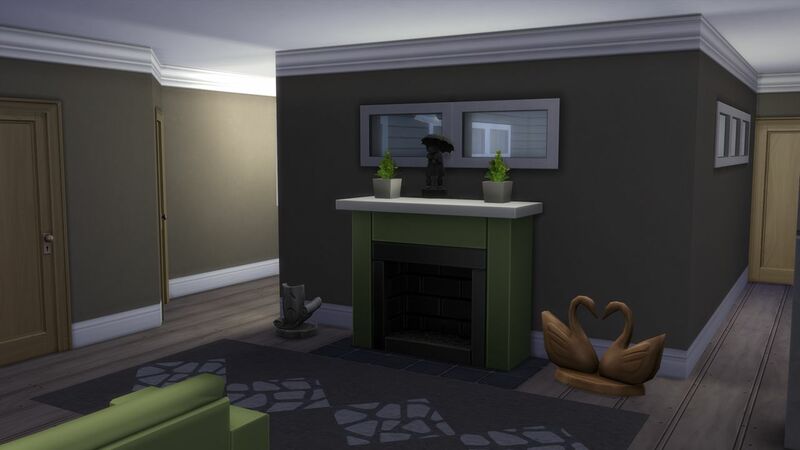 The colors go great with the decor! Such an awesome job! Thanks, @Sweet_Italy ! 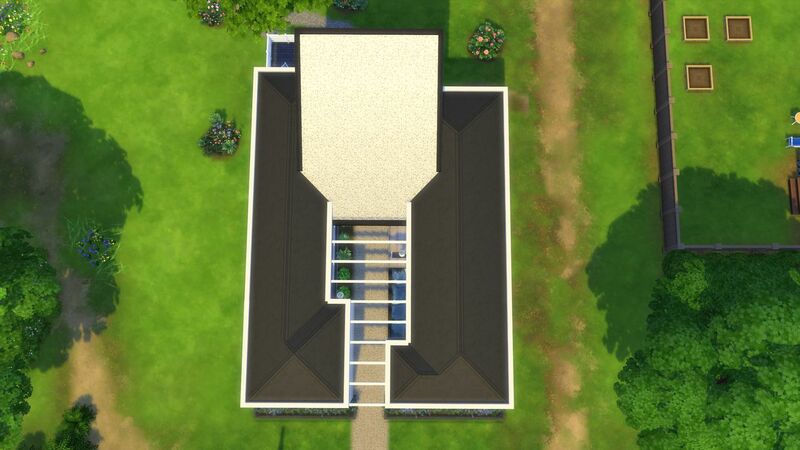 I normally avoid curved roofs, because somehow they never seem to line up right, but the "copy" function (yeah, I've been away for a while....) makes things so much easier. 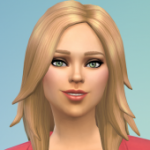 So today I was in need of a break from my current WIP, so I decided to try this challenge. I am in fact in need of affordable homes myself, because it is so easy to forget that one needs something inbetween 'starter' and 'insanely expensive mansion'. 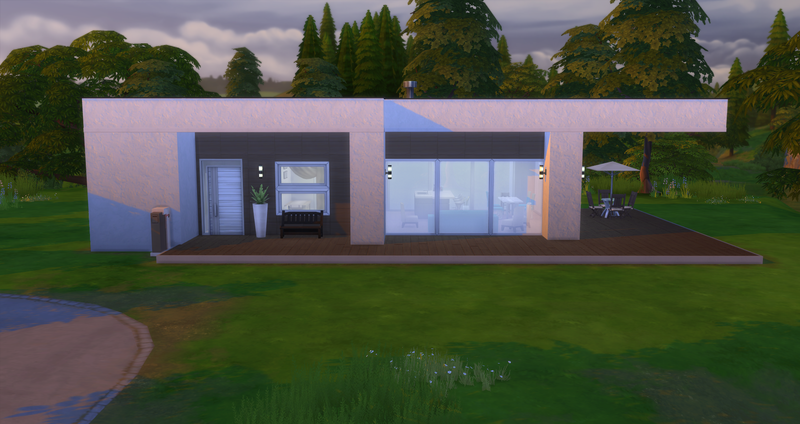 I chose this house in a modern 'Qube' style. It is made for a family that is quite urban, and are willing to sacrifice some square meters to have a slightly more upscale decor. The rooms are therefor small, but the home is well equipped with what a family needs. 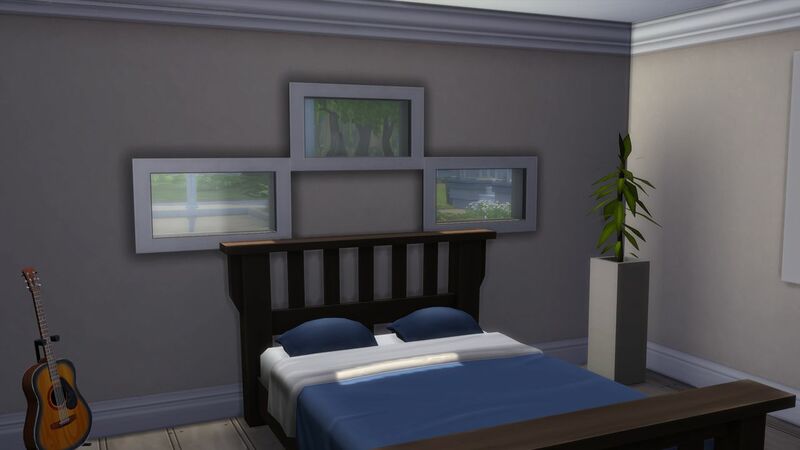 Currently the bedrooms are decorated as a Master with a double bed, a single bed bedroom, a nursery in unisex colors, and a toddler boys room. The home is decorated in brown and beige base colors, with splashes of teal to bring some needed fun. I'll only put a few photos up here, more can be found in the link just below. The exterior design of Alicante looks very nice! 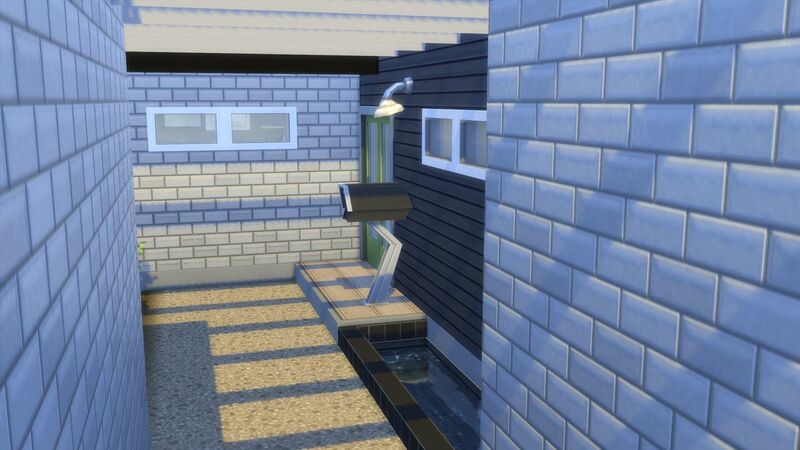 @Laebeth Very nice front outdoors entrance nook for sims to enjoy sitting resting on the seat watching sims pass by their home. 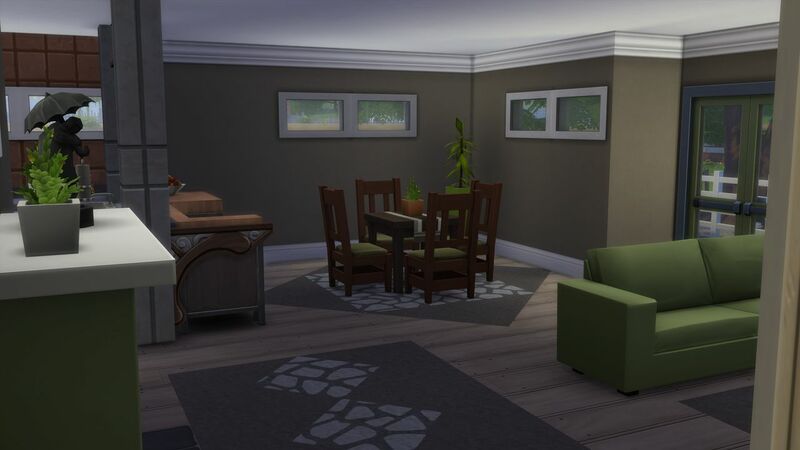 Nice umbrella covered table nook on the back patio for sims to enjoy sitting there in the outdoors air.The large glass windows are very nice in the living, dining and kitchen room area, creating very nice light filled areas. Sims will enjoy the sunshine coming in through the windows whilst cooking, dining and resting on the seating there. Very nice furnishing of the interior of the home! 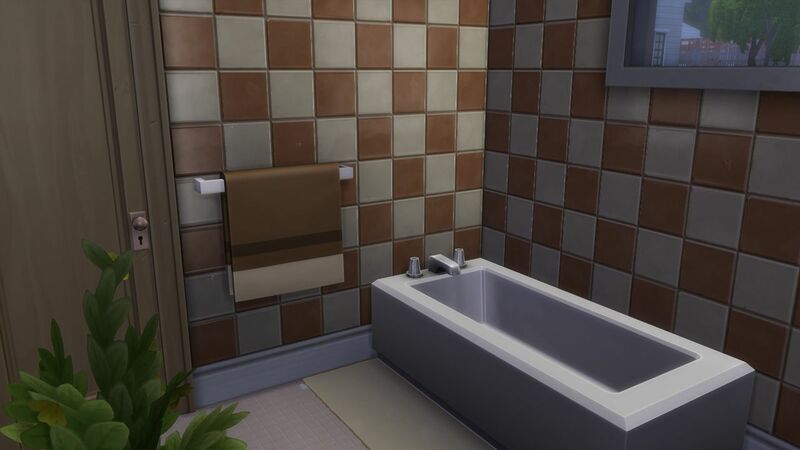 The brown and beige colour scheme looks very nice! Very nice kitchen nook! 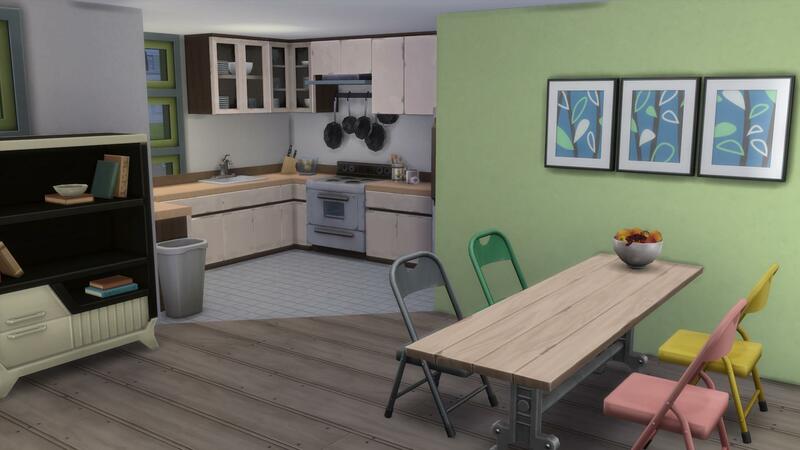 The island sink and bar stools counter is great for sims to enjoy sitting on the stools, eating a meal and looking out at the outdoors views. The teal colour of the dining seats brings a nice touch of colour into the room. 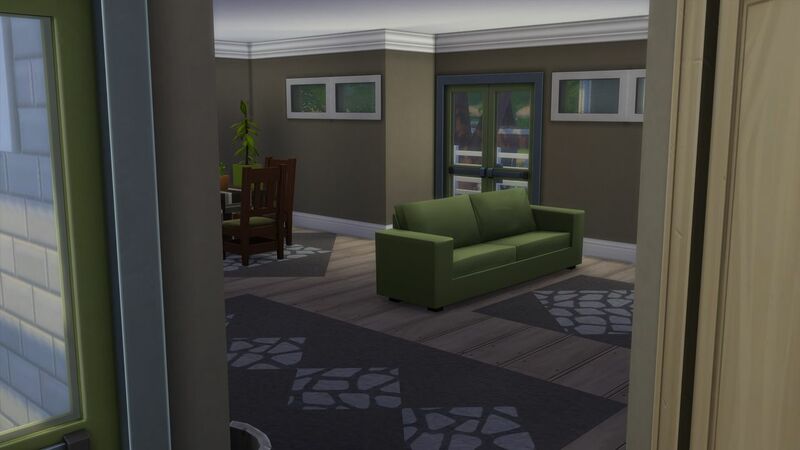 The layout of the living room looks very nice! 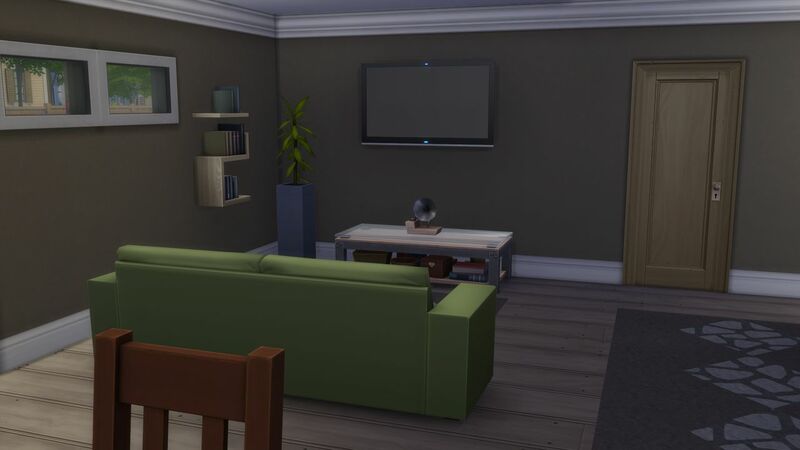 The beige armchairs look nice placed either sides of the teal sofa.The candles and flowers on the coffee table are pretty for sims to see when sitting there, enjoying watching tv and reading. Very nice bedrooms! The brown and teal wall colours in the master bedroom looks very nice, and the picture on the wall suits the colour scheme well! 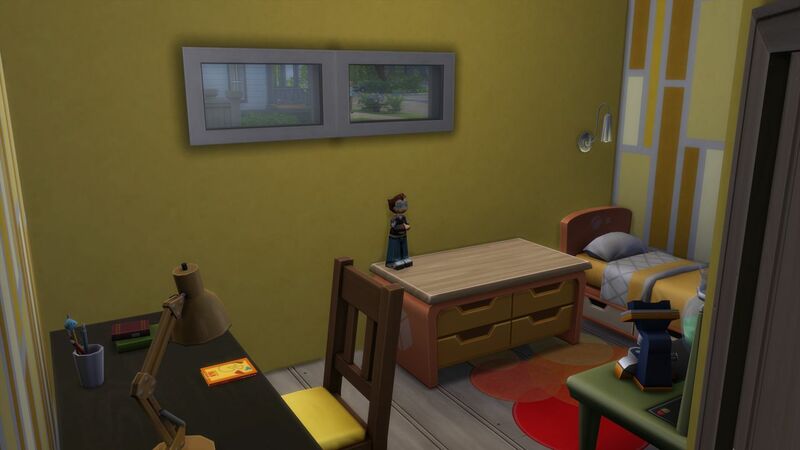 The single bedroom looks great ! The two sizes of clocks on the wall is a great tiouch! 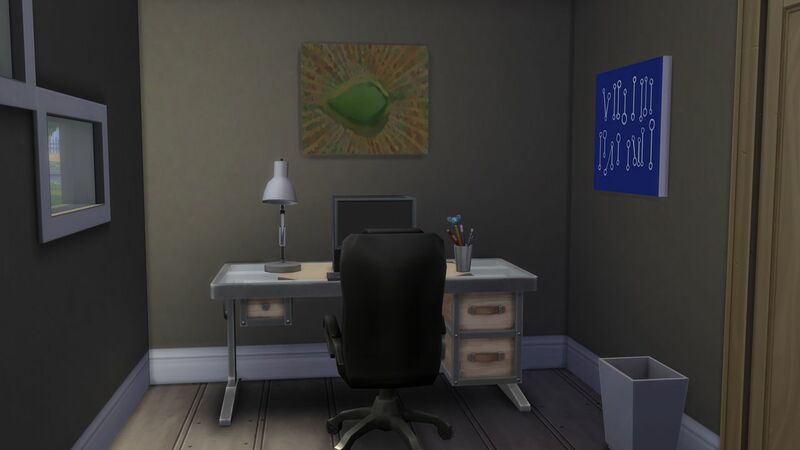 Nice corner study desk nook for sims to enjoy using the computer. 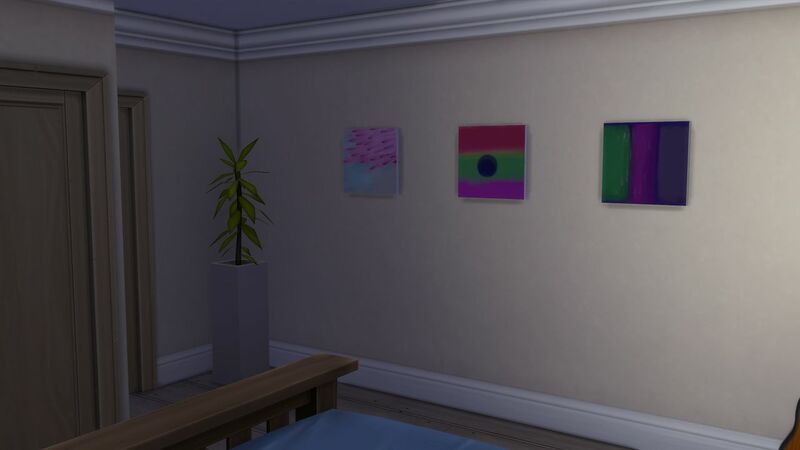 The diagonal row of leafy pictures on the bedhead wall is nice for the sims to go to sleep looking at. The teddy, giraffe, and animal wall pictures in the toddler bedroom and nursery look cute! @Laebeth very nice house!! I love your color scheme. I love that a lot the big windows and the glass used in all the decor. Teal is one of my favorite colors so i love that you used that to add a little pop to your house. 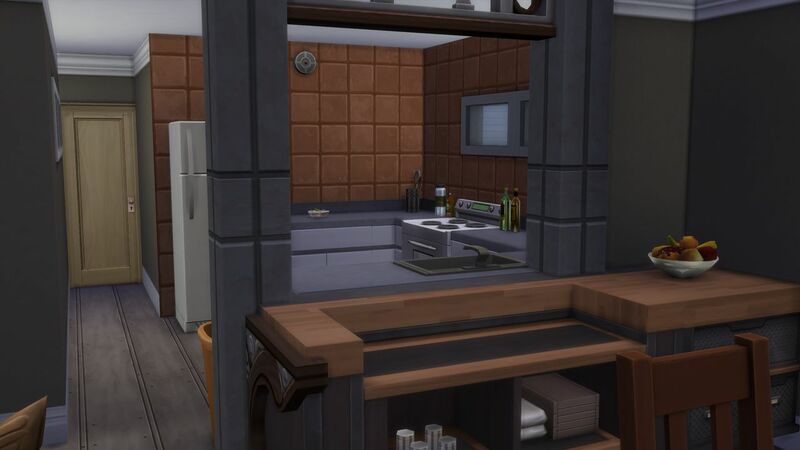 The kitchen island is awesome, i'll have to use that design in my future builds. You did a great job!! @Laebeth Compact and elegant--I like compact and elegant--and I love the fenestration on the living/dining/kitchen areas. 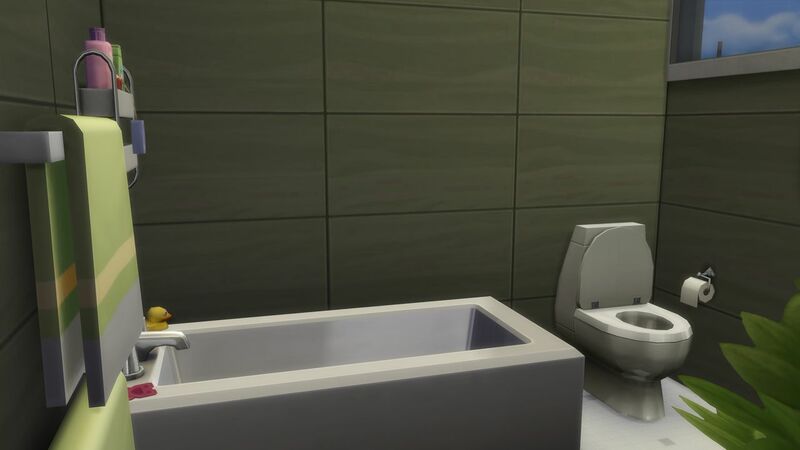 (In Sims 2 and Sims 3, my sims essentially lived in glass boxes.) 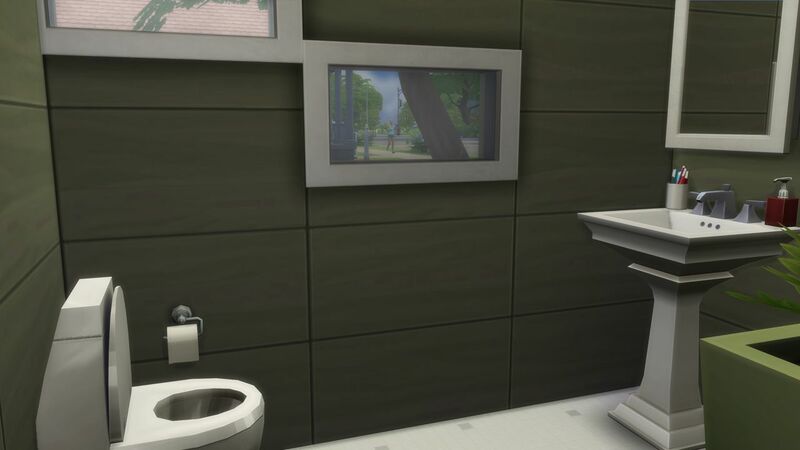 Speaking of budget, though ... have you noticed that the three tallest base game windows, which basically just cover the entire tall wall section with glass ... they're all only 30 simoleons each? Blew my mind when I found out. The medium and short wall versions of the same windows are easily 8 to 10 times the price. @Xinqun Thank you Compact and elegant can indeed be a pretty good combination! I had no idea about the windows no, that's shocking! 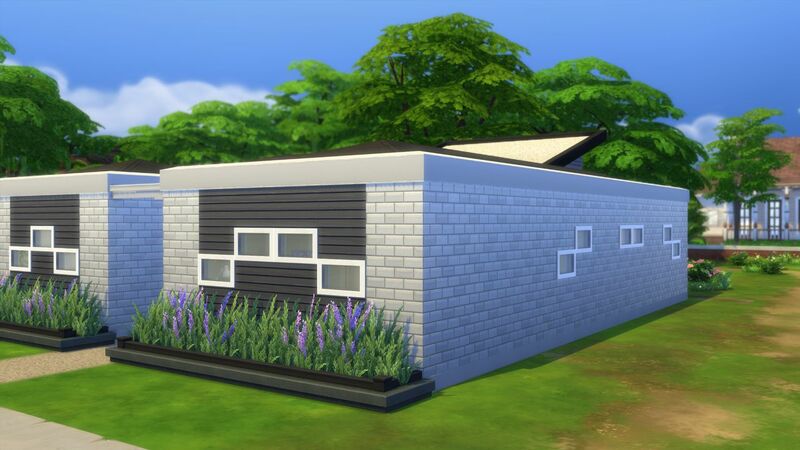 For this particular build though I wanted the medium walls. 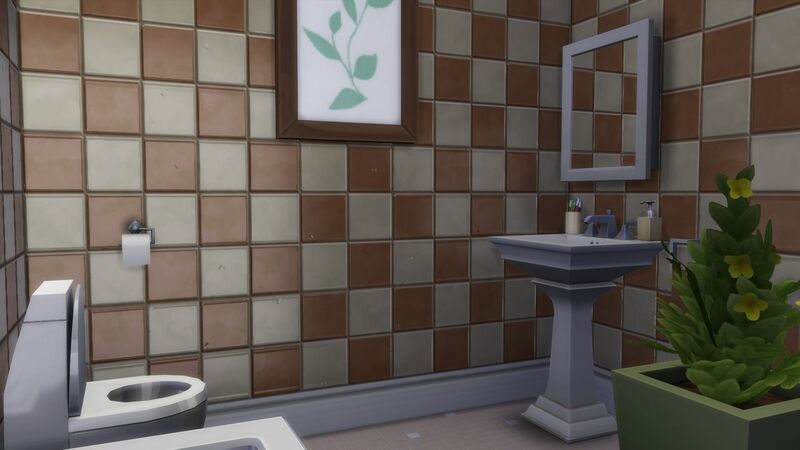 Just since the wall with windows/doors has a different color and texture than the rest of the build. But still.. that's crazy. 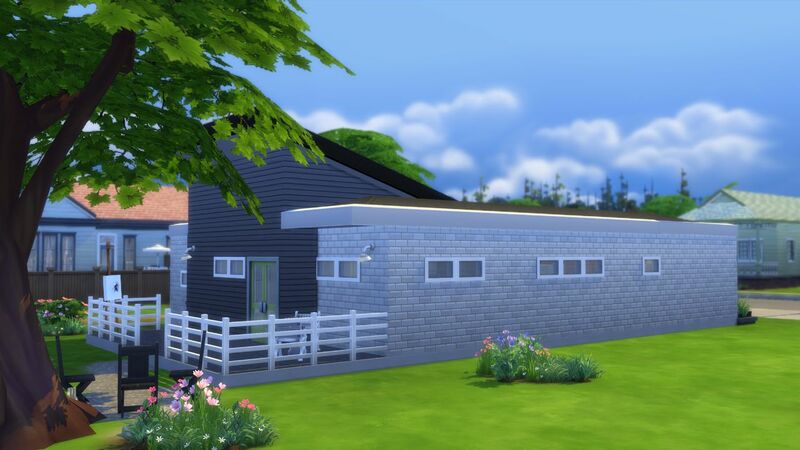 I have never built on a budget before, but I will for sure keep that in mind if I do attempt it again! Handy tip indeed. 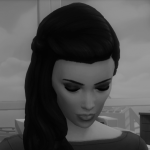 I pretty much am a "budget builder"! I prefer (at least at the moment!) 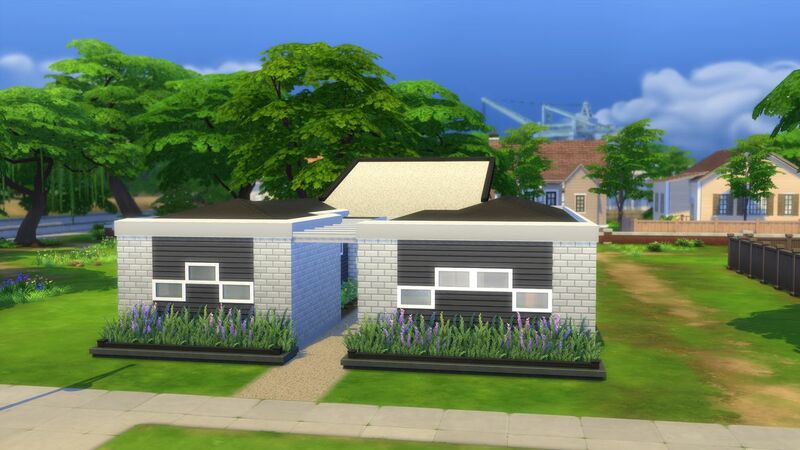 starter and second homes! I rather like trading off exterior and interior design considerations to come in under a budget. I'm glad I have an opportunity to share some of them. 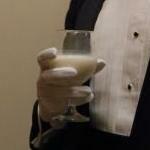 I rather like the design of the French styles though I may be alone in that! I know gallery pictures aren't the greatest! Thanks for putting up with them! 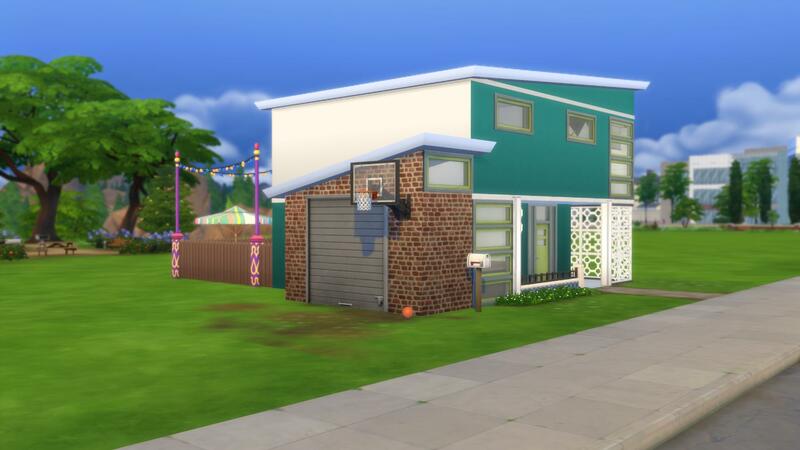 3 bed toddler starter 18k is a very nice home! 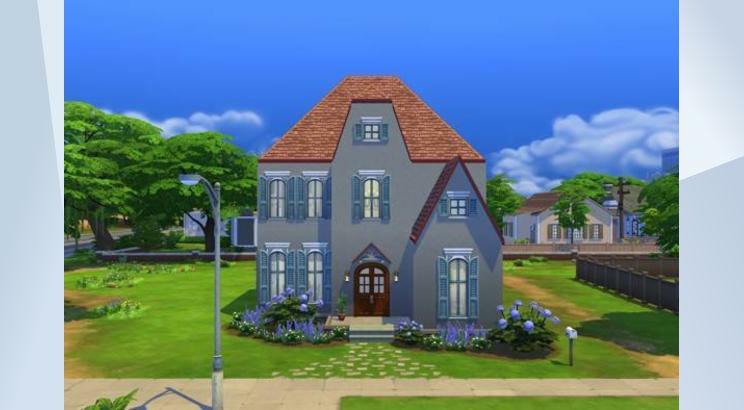 @withlovejulien Very nice exterior design of the home! The roofing looks very nice! 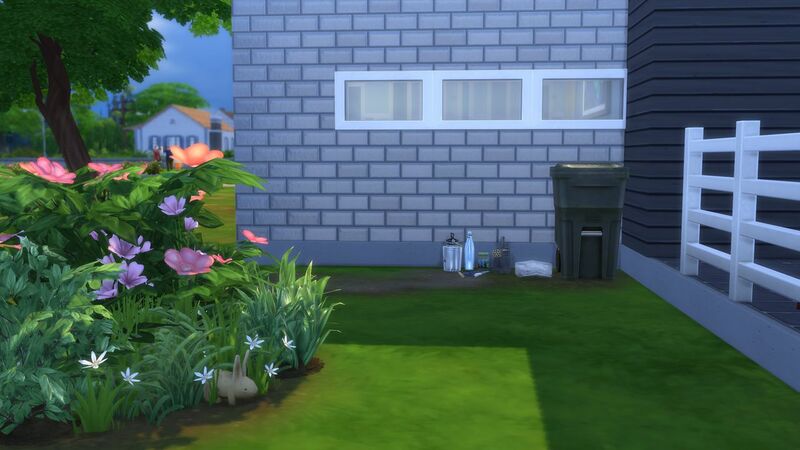 The flowers look so very pretty in the edges of the home! Very nice layout of the interior of the home! It is nice that it is furnished to suit a family who has a toddler. 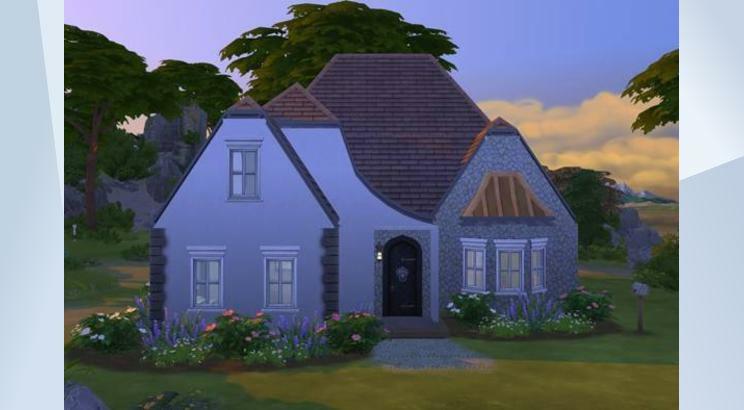 The French cottage exterior design of 4 Bed 38K French Country home looks very nice also! The open shutter windows are a nice touch in the home. Very nice roofing on the home! It looks nice how the terrain paint has been used for the front pathway. Very nice layout of the two levels of the interior . The homes are very nice!